Our hobby has its share of drama in recent weeks... first it was the newer looking jersey swatch on the Topps Sterling Honus Wagner card. 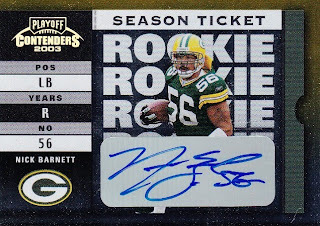 Then... it was the Panini Certified Sam Bradford 1 of 1 card that was a redemption replacement. Both were interesting issues to follow... but at the same time sort of frustrating. But thankfully... those issues only make up a small percent of our hobby. Between ripping packs, trading cards, reading blogs, making friends with fellow collectors, browsing card shows, and hanging out in sports card forums... this hobby is a huge part of my life. One more thing, I'd like to add... the amount of generosity in this hobby never ceases to amaze me. Everywhere you look people are handed out prizes on their blogs. From books to autographs to cards... a week doesn't seem to pass by without a contest mentioned in our hobby blogworld. Plus... you have people who hold give-a-ways... where if you reply to a post and they send you cards. Another sign of our community's generosity. Today... I received a package from Moremonkeys138 who runs the sports card blog: Crinkly Wrappers. In the package were two cards for my Expos PC. They weren't prizes from a contest. And they weren't part of any giveaway either. 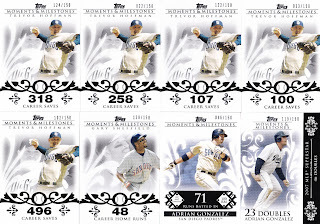 Nope... these cards... much like Saturday's cards from Emerald City Diamond Gems... were "just because" packages. It truly makes me appreciate the hobby that much more and I intend on "paying it forward". In other words... it's time for me to start giving back to the hobby. Sure... I've sent some of my blogger buddies stuff for the heck of it. But this time around... 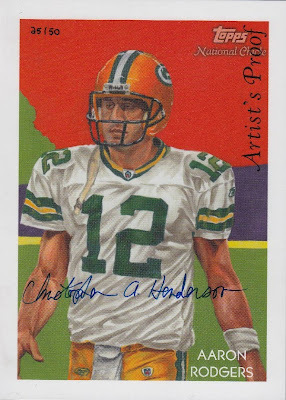 I'm just going to find fellow collectors who appreciate the hobby as much as I do and send them cards with no strings attached. And hopefully... some of them will continue the trend. I just want to say it again... thank you so much Crinkly Wrappers. Not just for the nice PC additions... but for also making me realize how special our hobby really is. It wasn't easy, but I scraped up some Blue Jays to send your way... so expect a little "thank you" package sometime this week. 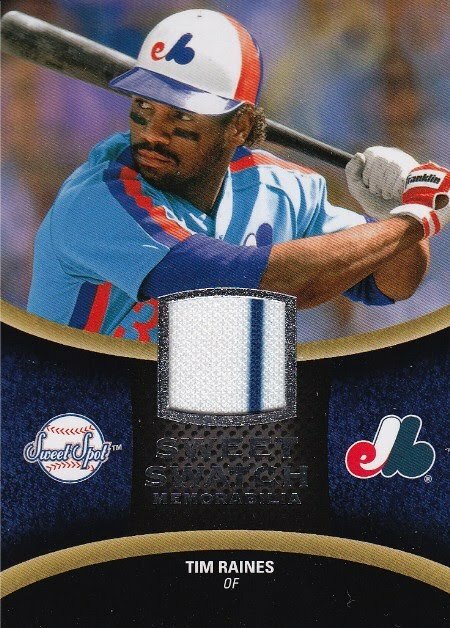 Both of these beauties show off the bright bleu, blanc, et rouge of the Expos uniforms, which is why I started this collection in the first place. 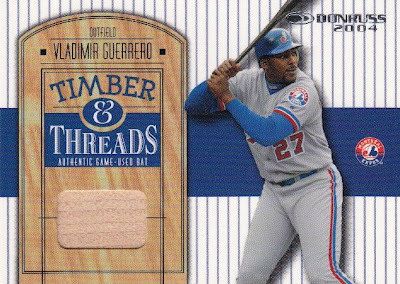 It's the first Vladimir Guerrero bat card in my Expos PC. 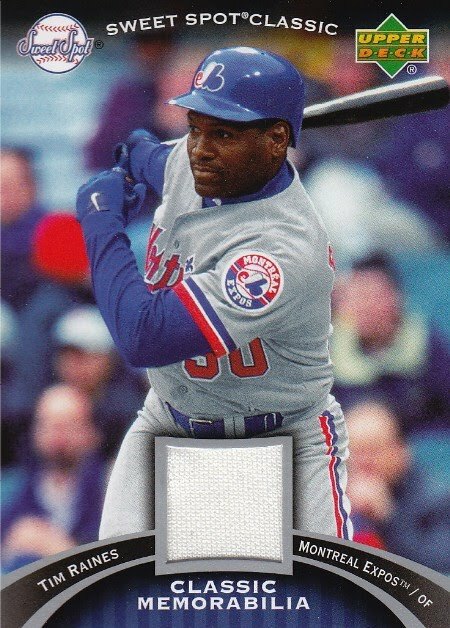 The Tim Raines card is the second jersey card in my PC, but it's definitely my favorite out of the two. Well... that's it. I hope everyone had a great weekend. Speaking of weekends... I just couldn't watch the Pro Bowl. It used to be something I looked forward to, but this year I watched the first quarter and turned it off. For some reason... it just didn't seem like football. But that's okay...in 6 days the game of the year will be on. In the meantime... here's a clip of Sean Taylor "playing football" in the 2007 Pro Bowl. 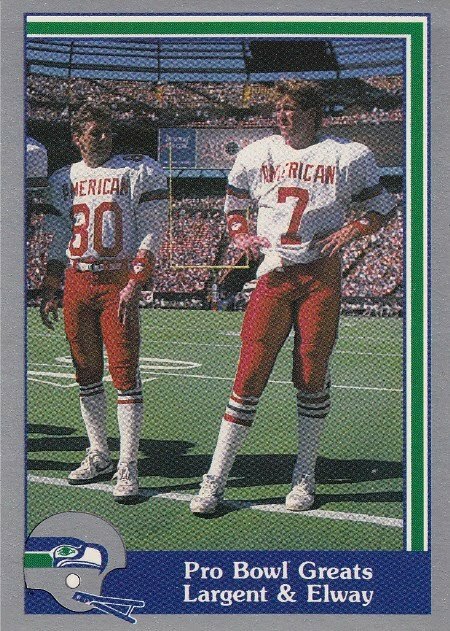 I know that some people say it was a cheap shot, because it's the Pro Bowl and it's not a real game. Others may say... who cares it's a safety going up against a punter. But... personally... I loved it. Football is about bodies colliding and hitting hard. This isn't too hand touch... it's a real game where players are getting paid. I'm glad that at least someone decided to show up for that game. So... what do you think? Was it a cheap shot, an amazing hit, or somewhere in between? Happy Monday... enjoy the rest of your week! Sayonara. When you look at the record books, Steve Largent's name doesn't stand out anymore like it once did. 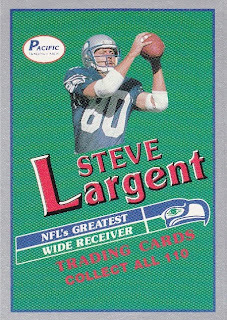 But when he retired in 1989, Mr. Largent had the most receptions, most receiving yards, and the most touchdown receptions in NFL history. Things have obviously changed a lot over the past 22 years. He's no longer the leader in any of those categories... not even in the top 5. But one thing hasn't changed. 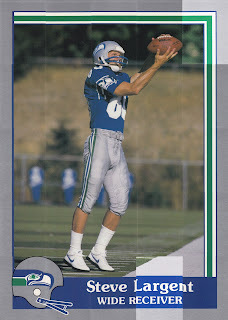 Steve Largent is still my favorite Seahawk. 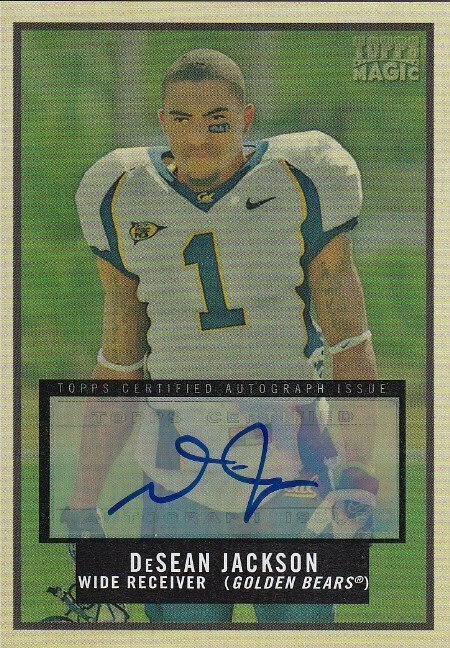 Which is why he's the centerpiece of my Seahawks PC. Well yesterday... I was over at Sports Card Forum replying to some of my trade posts, when somebody contacted me about some singles from the 1989 Pacific Steve Largent set. 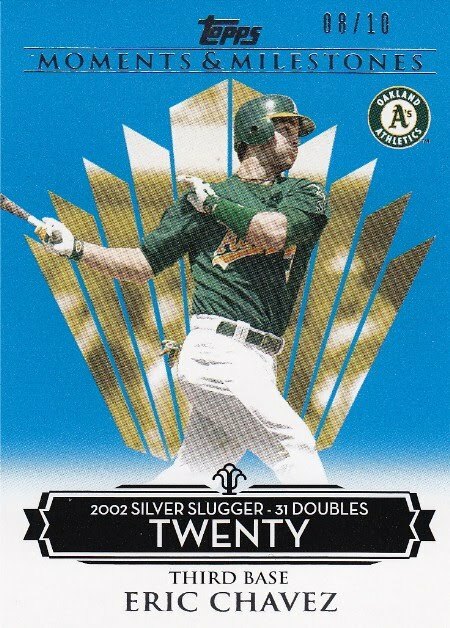 It was another blast from the past... because the last time I thought of these cards was probably in the early 90's... when I saw these at a local card show. After thinking about it, I sent the guy a PM and told him I'd pass. Why collect six singles when I could chase down a set. Well after doing some research on eBay, I found a factory sealed set with a starting bid of $5.99 (+ $5.85 shipping) and hobby boxes (with 36 packs & 10 cards per pack) for $29.95 (free shipping). These prices were intriguing, but I decided to be patient and check back later. A little later, I went to grab the mail... and in my mailbox was a package from Mariner1, who's the author of the blog: Emerald City Diamond Gems. He has almost twice as many followers as I do... so I'm sure if you're reading this post... you're already reading his. However... if you haven't checked out his blog... what are you waiting for? Head over there right now! Mariner1 & I have a couple of things in common. We both are huge fans of Tony Gwynn and we both follow the San Jose Sharks. Anyways... I got off track... let's get back to the package Mariner1 sent me. This is my favorite part of this set. They remind me of the Garbage Pail Kids puzzles from the mid 80's. 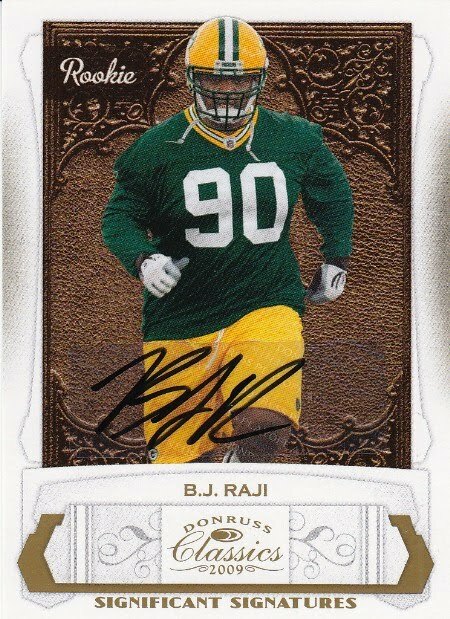 According to Beckett... this is the most expensive card in the set. It books for $3, while the whole 110 card set lists for $25. Of course... this doesn't mean squat... but some people might be curious. Oh... I almost forgot... Mariner1 also included a stack of Ichiro Suzuki cards for my Japanese PC. Most of them, I've never seen before. 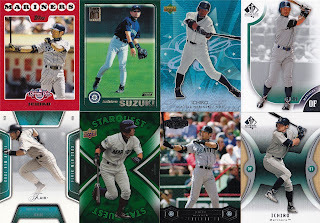 In fact... out of the 17 Ichiro's he gave me... I needed 11 of them. 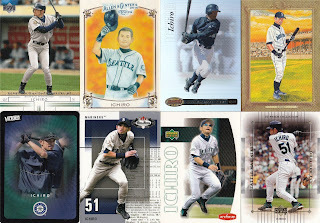 The other 6 are headed to my girlfriend's nephew... who also collects Japanese baseball players. So a big shout out to Mariner1... thanks a bunch for this generous care package. I'll be shipping out a little something to you in the next few days. Keep up the great work over at Emerald City Diamond Gems. Are you going to watch the Pro Bowl? What do you think about it being played before the Super Bowl, instead of afterwards? It's football... so I'm watching it. But, I think it's unfortunate that none of the Packers or Steelers will be able to play in the game. No... I understand that they don't want to risk injuries... I just wish they'd move the game to after the Super Bowl like the good old days. But that's just my 2 cents... what's yours? 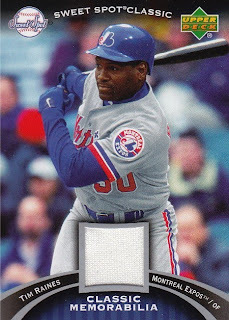 A week ago, I showed off my Expos PC... but left out three special cards from the collection and saved them for this trifecta of Tim "Rock" Raines. If you're a fan of 80's baseball... then you're no doubt a fan of Mr. Raines. He made the National League all-star team seven years in a row... from 1981 to 1987. In the 1987 all-star game, the score was tied 0-0 going into the top of the 13th. With Ozzie Virgil on 2nd and Hubie Brooks on 1st... Tim Raines hit the game-winning triple off of Jay Howell. When the game was over, he was honored with the all-star game MVP award. 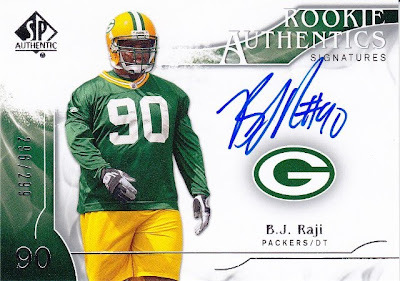 When his career was over, he had played for six teams over a span of twenty-three seasons. His career batting average is .294 and he finished with 2605 hits, 808 steals, 1571 runs scored, and 170 home runs. During that time he led the National League in stolen bases four times, runs scored twice, and batting average once. 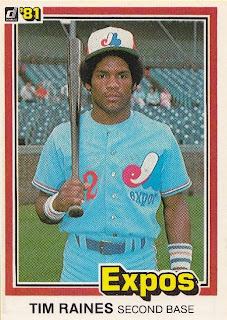 Is Tim Raines a future member of baseball's HOF? A. I don't own one. B. 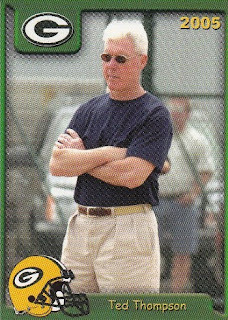 This is one of the few cards that I actually still have from my childhood collection... so it might not hold much monetary value... but it's priceless to me. 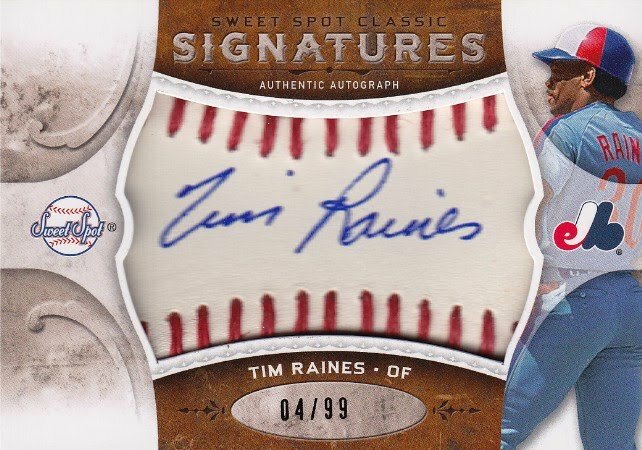 I featured a 2007 Sweet Spot Classic autograph of Tim Raines last week... but the signature has faded badly. I'm glad UD fixed the problem... but it's a shame, because I prefer the 2007 design with Olympic Stadium in the background to this particular design. Oh well... like my momma used to say... you can't always have it your way. This is one of my favorite memorabilia sets, because they feature a simple design and an impressive checklist... and they're cheap. 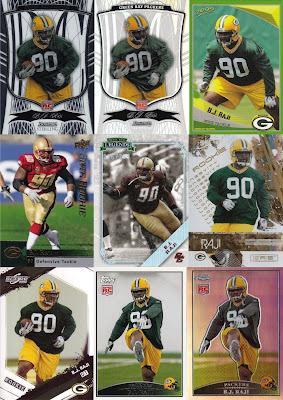 Hope you enjoyed the 1oth installment into my Sports Card Trifecta collection. Have a great weekend... and stay safe! Sayonara. 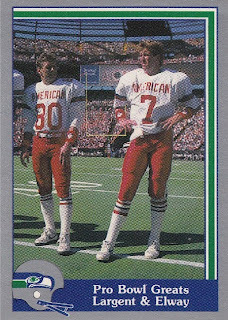 When the New York Giants took the field on December 19th at New Meadowlands Stadium... they were in the driver's seat for the final Wild Card spot. In fact... if they beat the Eagles that day... they'd be in first place in the NFC East. This clip inspired me to write today's post... because it got me thinking. What if Jackson doesn't return this punt for a touchdown? What if the Giants win the coin flip in overtime and win the game? Well... one thing's for sure... if the Giants win the game (& still beat Washington in week 17)... they're in the last Wild Card spot... and the Packers' season is over. So... thank goodness... Jackson did what he did. Don't get me wrong... I'm not a fan of "what ifs". It is... what it is. The Packers are in the Super Bowl because they've persevered and won 5 games in a row. I'm not taking anything away from them. I just want Mr. Jackson to know... that I appreciate what you did on this incredible play... which definitely left a mark on football fans (especially me) this season. 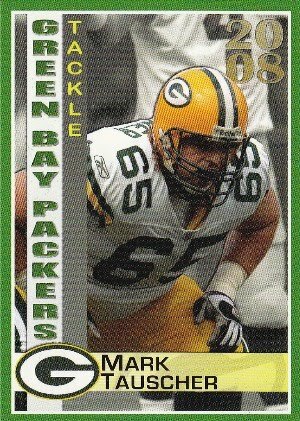 I was a huge fan of yours when you went to CAL... but I'm a bigger fan now... after realizing the role you played in the Packers reaching the Super Bowl. 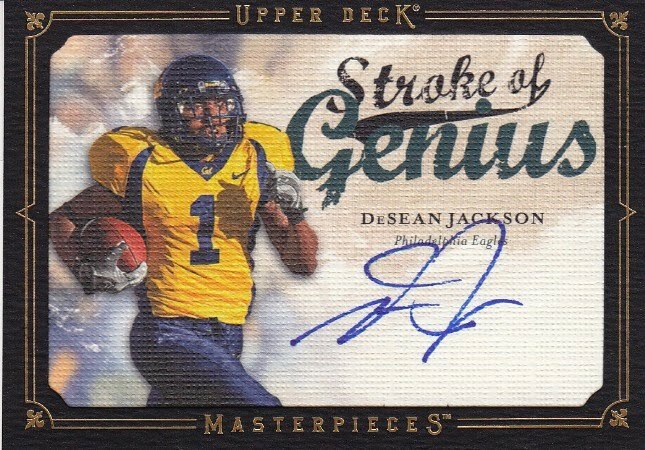 By the way... Jackson's showboating nearly cost them that touchdown. While he was running parallel to the goal line... several Eagles players and coaches began running onto the field before the play was officially over. But the officials missed this call... and it is what it is... and in less than two weeks... the Green Bay Packers will be playing for the chance to bring the Lombardi Trophy back to Title Town. What was your favorite game this season? What was your favorite play this season? Domo arigato Mr. Jackson... and to all... a good night! 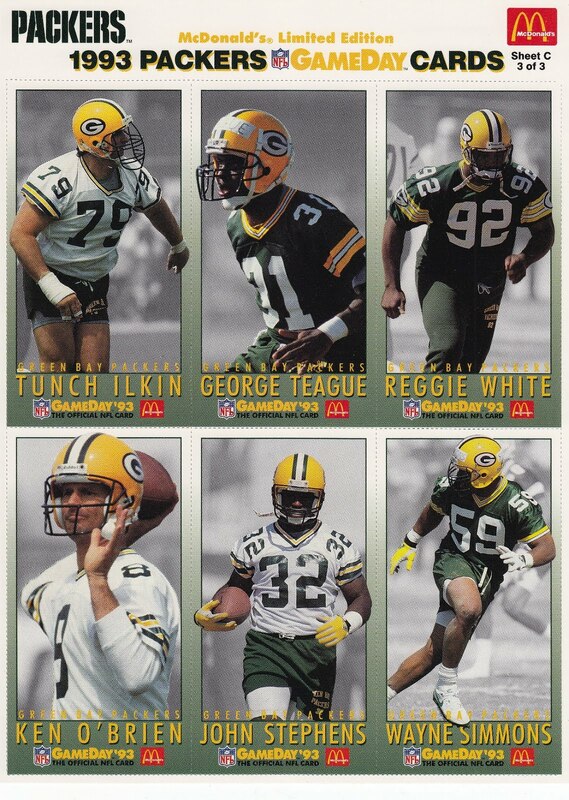 Thankfully... the Packers resolve their little photo issue! When I first heard about Nick Barnett's comments on Twitter... it bummed me out, because this is a time when the players need to focus on planning for the Steelers... not having to deal with distractions. However... it's not like Barnett didn't have a point. If you're not sure about what I'm talking about... I'll sum it up for you. Originally Packers' management scheduled to have the team's Super Bowl photo taken on Tuesday, Feb. 1st. Unfortunately, the 16 players listed on injury-reserve weren't scheduled to arrive until Thursday, Feb. 3rd... which meant that they wouldn't be included in the photo. According to Michael Silver's Yahoo article... in recent years, players on IR have typically been included on photo day. Obviously... if you're one of the Packers on IR... that news would be disappointing to say the least. 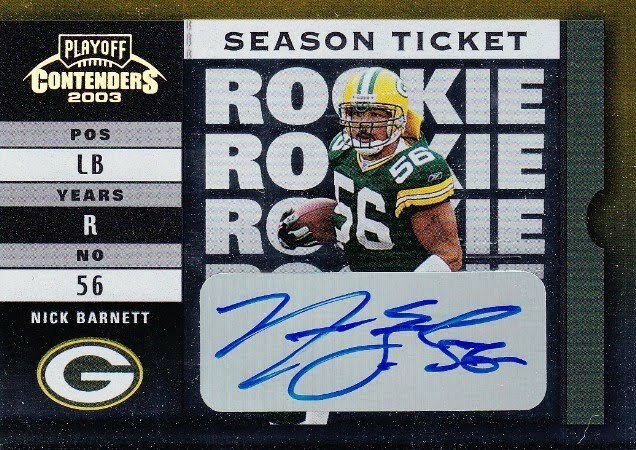 And that's where Barnett's (& Jermichael Finley's) Twitter comments come into play. Now before things get blown out of proportion... neither of them were trying to stir up any drama... they were just letting their feelings be known. Later... they both stated that the last thing they wanted to be was a distraction to the team. Well... thankfully... Packers' management has solved the issue. 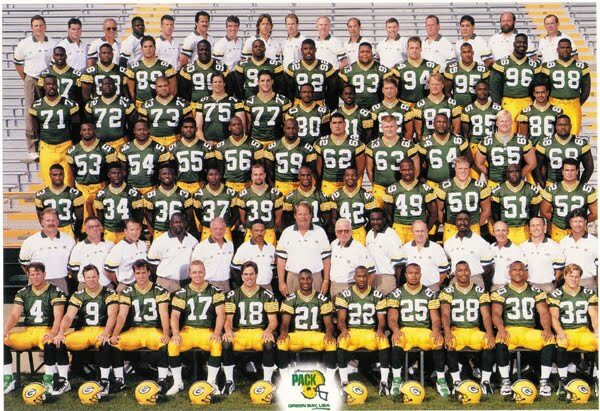 The team photo will now include all 16 players on IR who played a part in helping the Packers reach the big game. But just to provide some insurance... I'm dedicating today's post to all of those guys who won't be able to take the field two Sundays from now. Sadly... I don't have any cards of the remaining ten players: Josh Bell, Brandon Chillar, Spencer Havner, Brad Jones, Anthony Levine, Derrick Martin, Mike Neal, Marshall Newhouse, and Anthony Smith. Which of the 16 Packers players on IR will be most missed on Super Bowl Sunday? There are definitely some huge names on this list... but some of the current players have done fine in their place. Desmond Bishop has had an excellent season at linebacker, while James Starks has exceeded most peoples' expectations at running back. 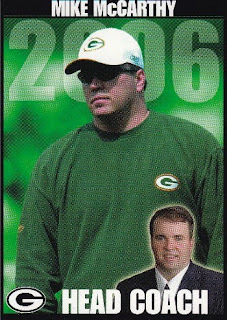 But... nobody stepped up and filled Jermichael Finley's shoes. Don't get me wrong... I love Donald Lee... but he isn't the beast that Finley is. But... that's just my 2 cents... let's hear yours. Another blast from the past... 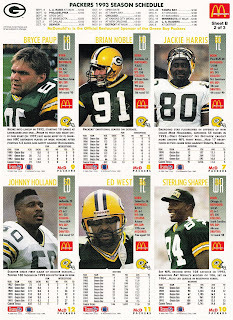 I'm not sure of the exact details... but I vaguely recall seeing the 49er sheets at my local McDonald's almost 20 years ago. Anyone remember these? Were they given out with a qualifying purchase or did the customer have to purchase them? First... I love oddball cards... and restaurant issues fits the description perfectly. Second... These sheets were distributed regionally, which means you had to know people in the right places. Luckily... the internet was invented and now we can find these at the tips of our fingers. Third... I'm a huge fan of oversized cards. Storage is always an issue... but they look sweet. Fourth... 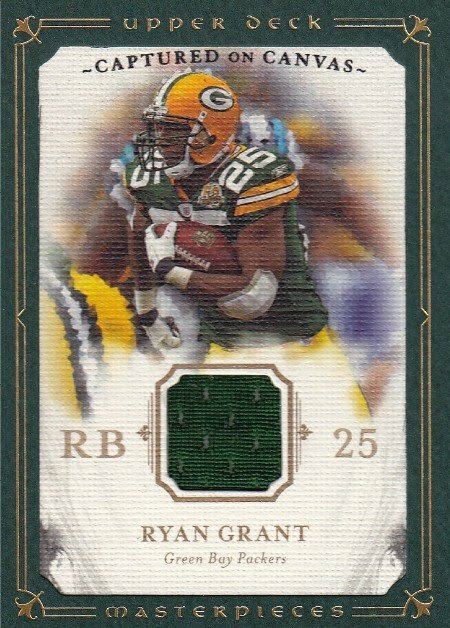 These cards are beautiful.... love the color photo of the player with the black & white back ground. And finally... 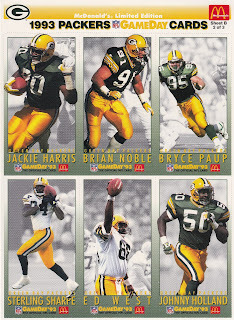 It features the Green Bay Packers! 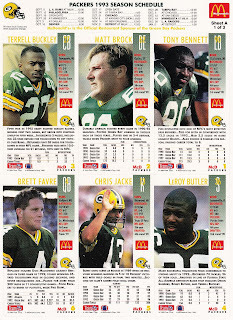 The checklist includes some of my favorite players from the decade: Sterling Sharpe, Reggie White, LeRoy Butler, and of course... Brett Favre. Oh... 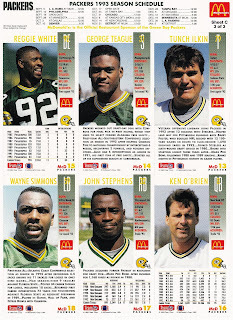 I also picked up a set of the NFL Pro Bowlers for an extra $2. My guess is that these were distributed in areas that didn't have a local football team. Beckett lists all three sheets for $5... a bargain in my book. 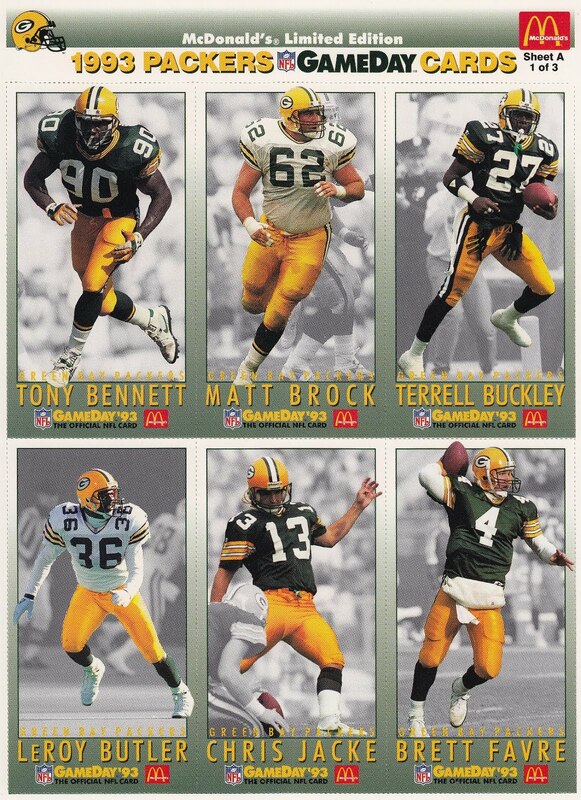 I mean c'mon... this set is loaded...eight HOFer's: Thurman Thomas, Troy Aikman, John Elway, Barry Sanders, Derrick Thomas, Howie Long, Dan Marino, and Jerry Rice. 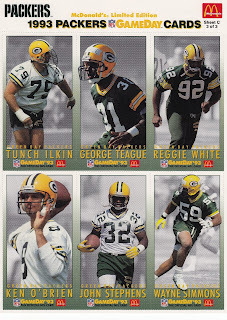 Throw in Deion Sanders, Cortez Kennedy, and another Sterling Sharpe... and you've got sweetness! Like I mentioned earlier... I'm not sure what I should do about the storage situation. 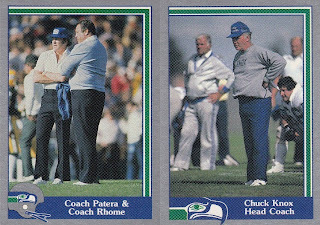 I was thinking about framing them... but I have enough cards cluttering my office walls. Right now... I have them in some oversized top loaders. 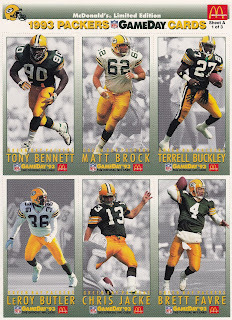 So... did any of you collect these in the 90's? If so... how were these beauty's distributed? Have a good evening... Sayonara! 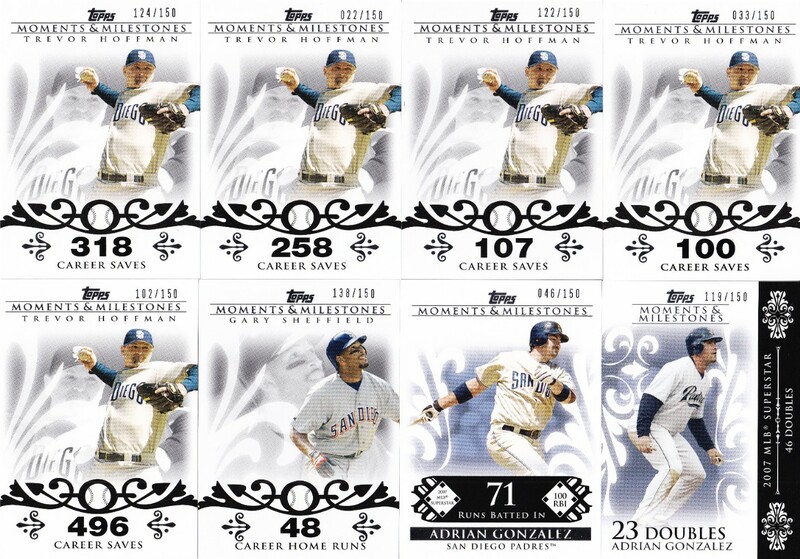 If you're a fan of numbered cards... then you should pick up a box of 2008 Topps Moments & Milestones. I've never busted this product myself... but last month I entered a contest over at Community Gum. The details of the contest were... well to put it in simple terms... CRAZY. I won't even try to explain. 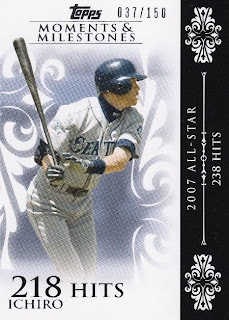 What I will tell you is that Community Gum is a cool blog that covers everything from video box breaks to PC additions. They also talk about card industry news and even have a video game review on their blog. It's actually one of my favorite posts, because it has a YouTube video of a reenactment of Game 6 of the 1986 World Series done on RBI Baseball for the NES. I encourage you to head over there and check it out. Thanks Jon... all of these cards are going straight into the PC... except for the two Lincecums and the Kent. They'll be taken to work and given away as rewards to my students. I'll take "The Freezer" over "The Refrigerator" any day of the week! Only one more game to go... before I begin to celebrate... and no doubt... it should be a good one. In fact... I'm still recovering from the Steelers win over the Hawks five years ago in Super Bowl XL. Here's an opportunity for the Packers to avenge the Seahawks loss... and set things right in the Fuji household. 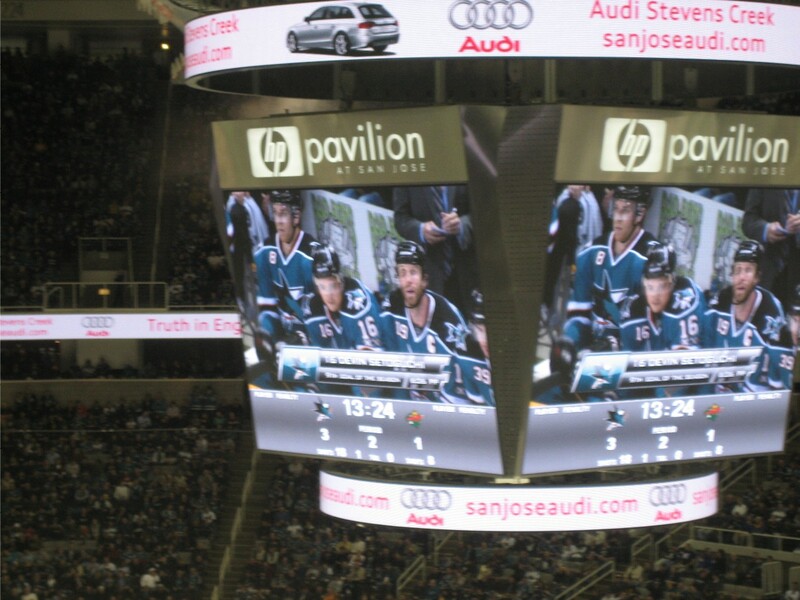 I scored a hat trick @ last night's Sharks game! When it rains... sometimes... it pours! Last night was one of those times where everything went my way. First... I bonded with my nephew at the Sharks game. Every year... I buy him a ticket to a Sharks game for Christmas. But last night's game was extra special... because he decided that Devin Setoguchi was his favorite player. Why is this special? Well... if you don't know then you must be new to my blog. Click here for the background details. Second... 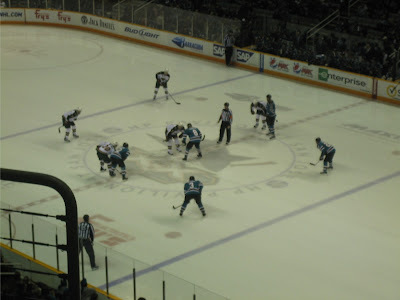 The Sharks won their fourth game in a row! It's been a long season for the Sharks... but this win puts them back into the #8 spot in the Western Conference. There's still a ton of games to be played and I'm pretty confident that the Sharks will find their groove. They have way too much talent to not make the playoffs. Third... The Gooch netted two goals... and came close to getting the hat trick a few times. It's the first time in 10 games that he's found the back of the net and he chose tonight... the night his #1 (& now #2) fan(s) attended to do his thing. I've been a little bummed about the whole trade rumors revolving around Setoguchi. Hopefully... this will remind the Sharks' management how valuable he is to the team. Now... hopefully my good luck will last for just a few more hours. That's when the Packers will take on the Bears in the NFC Championship game. This game should be epic with so much history behind these two teams. I'm just praying that Aaron Rodgers & Co. have a few more quarters of magic left in them. So come on... grab your cheeseheads and let's get it started... Go Pack Go! Go Pack Go! Go Pack Go! What's the greatest sporting event you've ever attended? Until yesterday... I probably would have said last year's game between Vanderbilt and Murray St. in the first round of the NCAA men's tournament, when Danero Thomas hit a fadeaway jumper at the buzzer. It was awesome... but definitely not as cool as watching my favorite hockey player net two goals and having my nephew tell me that The Gooch is now his favorite player too. 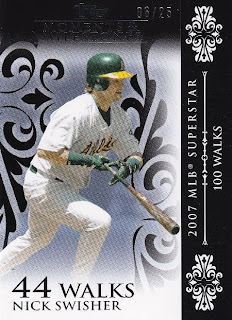 Why aren't there more card shows?